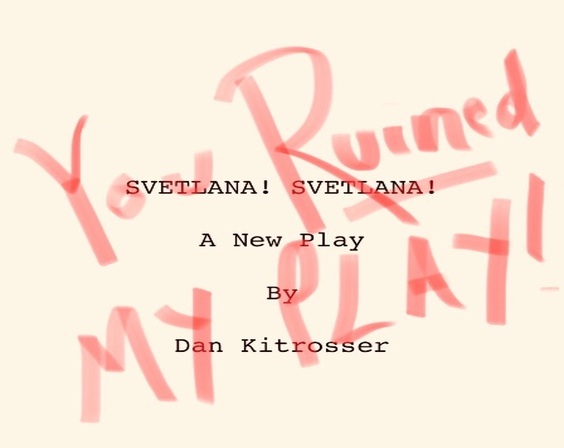 You Ruined My Play or, Svetlana! Svetlana! Saturday, Jan. 26: Doors 6:30 p.m., Staged reading 7:30 p.m. Previous Previous post: Hungry for new work?